You have found the one-stop source for all the top sales and specials on outdoor gear and hunting apparel for Cyber Week 2018. Bookmark this page! Whether you are Christmas shopping for a loved one, replacing some gear from this hunting season, or researching the latest hunting equipment, you will find a discount here. Stores are competing for your hunting budget, and there are sales and promotions to save you money, no matter what equipment or apparel you are looking to buy. 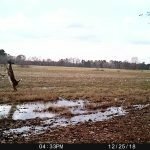 I will be updating this page with the latest deals and specials from hunting gear websites for Black Friday and Cyber Monday 2018 as they are announced. Click the title of the offer to go straight to the store. Let me know in the comments if you find this page helpful or if you find a sale that isn’t listed. I can’t list every item, but check the home page to see the best of the best Cyber Week deals. Bookmark this page for updates of these discounts, coupon codes, and promos as Cyber Week progresses! Get the best prices of the year on Leica Sport Optics including our closeout Geovid HD-B 10×42 2000 Rangefinding Binoculars and CRF 2000-B Rangefinders, plus get 10% off almost all Leica Sport Optics. Save up to 25-40% on 17 different products, but quantities are limited. Sale ends 11/26. eBay is posting new deals every hour on Cyber Monday, so stay tuned for the best deals of the day. Save up to 60% in the Cyber Week Sale at Cabela’s. There a lots of top deals and as well as deals in 22 different categories, including Archery, Shooting, Optics, Men’s Hunting Clothing, and Hunting Gear. 2-Day Fast and Free shipping with no minimum. There will also be daily deals all week long, so keep checking back. Get an extra $30 off previously discounted hunting gear at the Under Armour Outlet. You can also get 30% off fleece and footwear at underarmour.com. Also get free shipping with no minimum. Ends 11/26. 25% Off your order, plus free shipping with no minimum through Cyber Monday! Amazon has a whole slew of deals for Black Friday and Cyber Week. Scroll down to where is says “Deals on Hunting and Fishing”. I’ll list some of the best deals below, but there are lots more. There are also Lightning Deals with limited time and limited quantities. Check back throughout the day for new deals. Tons of savings on farm and outdoor gear including many online exclusives. Here are a few of the offers. Huge savings on over 250 items, some over 50% off, in the Cyber Week Bullseye Sale. Deals include treestands, camo, trail cameras, processing equipment, and more! Buyer’s Club members will receive double discounts and free shipping with the code SK2526. You should just go ahead and join the club now. Academy Sports has Hot Deals on 135 hunting items, as well as camo and boots. Make sure to check the apparel and footwear categories along with the outdoors selection. Shipping is free with no minimum. Special deals on select products, plus coupon codes for everything else. Get 11% off anything you want when you use the code BFCYBER11 through 11/27. Save up to 50% on shooting, hunting, camo, archery, camo, boots, and more. Some of the deals mirror what Cabela’s is doing but some of them are different. We get a higher commission percentage from Bass Pro, so there’s that! Biggest sale of the year. Save up to 50% on select gear and apparel in their Cyber Monday Sale. Shipping is free on orders $50+. Save up to 75% off outdoor and backcountry gear and apparel. Right now they have the lowest prices of the year on Leupold scopes and binos. Not only great deals on guns and ammo, but optics and hunting stuff too! Codes expire 11/26. 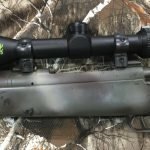 Camofire is listing 60 deals at a time instead of the usual 40 all weekend. Plus, new deals will be added at 1 PM Mountain time for a total of 120 deals daily. Get 15% off sitewide with the code 1DSN181HH. Code expires 11/26. Save big on hunting lifestyle wear and dog hunting gear. Up to 70% off with free shipping on 9,266 hunting items. Optics, game calls, ground blinds, trail cameras, backpacks, gun safes, and more! Extra 20% off everything and free shipping on orders over $99 with the code CYBER20. Special steals for Cyber Monday. Save on outdoor gear and apparel from Mountain Hardware, Thermarest, Black Diamond, Icebreaker, The North Face, Smartwool, and more! Up to 30% off best brands and 25% off 1 full price Arcteryx item. Use the code THANKS25. Free ground shipping on all orders. Code expires 11/27. 25% off Black Friday Sale at 5.11 Tactical! Valid 11/17-11/26. Shop Now! Free 5.11 Tactical Multi-tool Keychain with $150 Purchase. Use code FREETOOL at checkout. Limited time only! Shop Now! 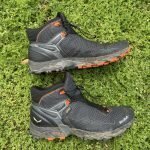 Lots of people know about the daily deals at Woot.com, but did you know they had a special category for sports and outdoor gear? They’ll be having extra deals Black Friday through Cyber Week. Brownells is having their biggest sale event of the year. In addition, they have several promo codes for extra discounts. Use the promo code FRIDAY18 to get 20% off 1 full price item + 20% off 1 sale item now through 11/26. Free shipping on orders $79+ with the code FREESHIP18. Tons of web buster specials on Cyber Monday. Take up to 60% off AR Parts, Guns, Ammo, Optics, and more. 25% Off everything! Yup. Plus the first 1,000 orders over $150 with get a free Legenday Whitetails Thermos set. Free shipping on orders $50+. Ends 11/26. Yes they sell ramps, but they also have great hunting gear like game carts, deer hoists, shooting benches, and more. These lightning deals only last 24-hours so check back daily. Darn Tough sells the best socks money can buy. They come with a lifetime warranty. They don’t really go on sale. So, starting Friday, November 26th Darn Tough will offer a free hat on every purchase over $150 + free shipping. Supplies are limited. Biolite makes innovative camping and hiking cooking and energy solutions. Their products make great gifts! Cyber Monday- Save Up To 35% plus receive a FREE SunLight with any purchase over $75. Supplies are limited! Free Stanley Flask when you spend $150+ on Cyber Monday! Carhartt is offering 25% off several categories of apparel, including their Full Swing Pants. Shipping is free on orders $99+. Spend $250 or more and get 30% off your entire order. Use the discount code BF18 at checkout. Promo ends 11/26. Choose between free guns or 12% off! Codes expire 11/26. Up to 60% off hundreds of items including paddling equipment, camping gear, and apparel from brands including The North Face, Yeti, Kelty, MSR, and more. Get 20% off one regular priced item, plus 20% off one outlet item. Use the code 20TWNTY at checkout. They also have hundreds of camping and hiking items on sale, including 14 days of deals through 11/27. Take 25% off plus get free shipping on custom fit seat covers for your car or truck. Take 20% off outstanding Merino wool clothing at an exceptional prices with the promo code BF20. Ends 11/26. Up to 50% discounts on tactical flashlights and accessories. 25% off custom muzzle brakes and rifle accessories. Amazingly efficient campfire stoves for cooking and heating. Stove will be automatically added to your cart with no promo code needed. Cyber Monday only, get 20% off Yeti Rambler 64 oz bottles, plus free domestic shipping through the end of the year. Use the code CYBERMON to get free shipping with no minimum. They used to offer these codes all the time, but they are few and far between now. Get 20-50% off First Lite gear and apparel in their annual Turkey Day Sale. No refunds are allowed, but you can exchange. Let everyone know in the comments what gear you get or if you find any other Cyber Week sales.